Colorado continues to provide examples of the many different new careers created by legalized marijuana. Smart entrepreneurs willing to take a chance in the new industry have especially seen a boom in opportunities. Those include people who have already had successful careers doing something else. Retirees Deb Baker and Barb Diner provide the latest example. Baker is a retired school teacher. Diner is a retired marketing executive. Noticing a need for child-proof packaging for marijuana products that complies with Colorado law, the pair decided to create a cannabis packaging business. The result: Higher Standard Packaging, a successful marijuana packaging company in Denver. The business recently got the attention of the New York Times, which reported that the company already has sold almost seven million units since it started in 2014. The business began after the pair visited a cannabis dispensary in the Denver area and saw the need for child-resistant bottles for marijuana. They decided to use recycled milk jug resin to create these containers. The federal Food and Drug Administration has approved the resin for the packaging of both food and pharmaceutical products. The resin also is more environmentally friendly, according to the company. The recycled product impacts the environment far less than packaging created from new resin. Higher Standard Packaging now has about 50 clients, most of them in the Denver area. 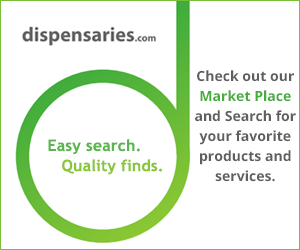 They created the clientele by going door-to-door to dispensaries and showing them their products. They now plan to extend their list of clients around the United States and in Canada. Baker and Diner have expanded their offerings to include packages of various sizes for both marijuana concentrates and flower. The containers come in small, midsize and larger sizes. They also offer jumbo jars that can carry up to half an ounce of marijuana. As with their other products, these jars come with child-proof caps. The two have made enough of a profit to give themselves salaries, and continue to do a lot of one-on-one contact with their clients. Diner told the Times the business model is “time-consuming” but also has worked well for them. They use a van for deliveries donated by Baker’s father-in-law, according to the Times, and other family members have contributed with technology issues and market research. The pair said entrepreneurs in the marijuana industry need a high tolerance for risk as different laws across the country make doing business challenging. Marijuana also remains illegal at the federal level. Most banks still have not extended services to those in the cannabis industry, requiring most business to be conducted in cash.